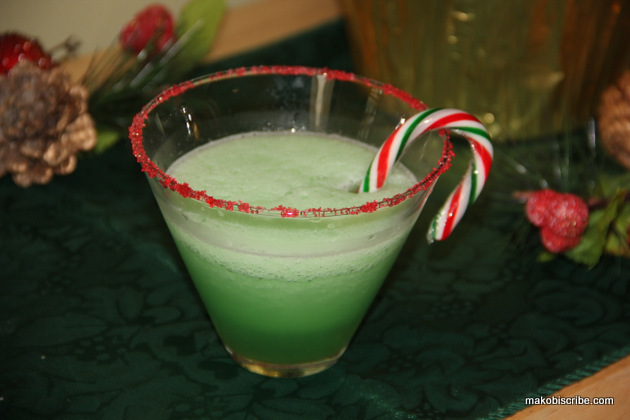 Save your favorite recipes like this Holiday Margaritas Recipe on the web right to your ZipList online recipe box. You can even add ingredients from each recipe to your shopping list and take it all on-the-go to the store with ZipList’s free mobile app. To add a recipe to your list or recipe box, just click the “save recipe” button. Then sign up using your email address, Facebook or Twitter account. You can get the free mobile app for your iphone or android from ziplist.com. Holiday parties are right around the corner, which means it is time to get some creative party drink ideas running. Each year, the Martha Stewarts of the holiday season come out to create innovative ways to not have just any ordinary decor, appetizers, and cocktails. Now there is a way for everyone to get a chance to host an impressive holiday shindig with some tasty drinks that will have all of the guests asking for more! An astounding upscale food and beverage company, Old World Gourmet, has come with an innovative new line of drinks that will blow all of the other boring drinks out of the water. The Vinolicious line is a unique frozen wine party drink is a daring and scrumptious addition to any type of wine. Making the mixture is as easy as one, two, three. Simply, get the bottled wine of choice, add in the mix, and freeze. This will add the perfect spark to the nearby holiday parties, girl’s nights, and so much more. They included delicious flavors for both red and white wines in order to waken up every taste bud at the party for only $10. Flavors for red wine include sangria and blueberry pomegranate. For white wine lovers they offer frozen lemon, lime and peach mixers. One of their fan favorites (coming at no surprise) is their Vino-Licious Margarita Freeze is yummy and ready to party. This is perfect for Cinco De Mayo and ever day ending in “y”. For a larger get together, they include an red wine assortment (3pk – Blueberry Pomegranate, Wine Ice, and Sangria) and white wine assortment (3pk – Peach Bellini, Lemoncillo, and Margarita) for $24. From small gatherings to company functions, Vinolicious makes grabbing creative party drink ideas simple and fun! Since 2001 the owners of OWG, Dan and De’Anna, have been working on perfecting the art of party mixers. Eleven years later, they are still pleasantly surprising their customers with innovative and delectable mixers to fit any party needs. Their success has brought them first place for Best Cold Beverage, Best Visual Display, and even Best New Gift Item. Which is perfect timing for the holiday season! I was thinking about making a holiday margarita too! Great recipe. Well, that looks super easy to make! Perfect for holiday parties. Oh that is beautiful. It sounds so yummy! Thanks for sharing! I do not drink but it looks really festive and fun! This looks fabulous! Perfect for Christmas or St. Patricks Day! Thanks for sharing! Always looking for new easy cocktails to make. I don’t like Margarita’s but my husband does, so I am sure he would like this! I love me a margarita but never have tried with wine before – interesting! Yum! this recipe looks delish! pinning for the Holidays! You make it look so enticing and beautiful! I would love a drink as pretty as that! I usually get a fast thrown together drink in a Tupperware glass, which I’m lucky if it actually got cleaned as my boys now do the dishes. Lol. Life of a mom right? That sounds truly delicious, but I refuse to believe the holidays are right around the corner! Sounds like a drink I would love!